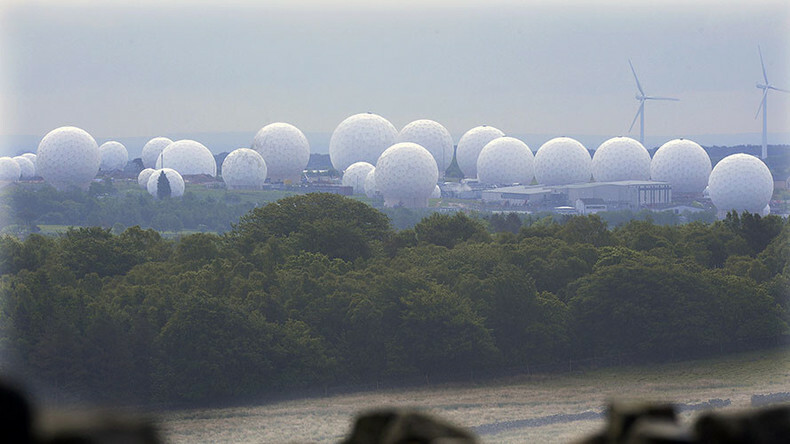 Leaks by NSA whistleblower Edward Snowden have revealed how his former employer used the UK spy base at Menwith Hill in Yorkshire to conduct ‘kill or capture’ missions in its global shadow war. The programs, which carry names like GHOSTWOLF and GHOSTHUNTER, have been used to support conventional operations in war zones such as Afghanistan and Yemen – with which neither Britain nor the US is officially at war. In July, the Obama administration revealed that somewhere between 64 and 116 civilian casualties were inflicted by US air strikes outside Afghanistan and Iraq in the years 2009 through 2015. While Washington didn’t specify where exactly the deadly strikes took place, they are believed to have been carried out in Yemen, Pakistan and North Africa. But the release of the figures, touted by Obama as a step toward more transparency, was criticized by various human rights organizations as distorting the actual picture. According to various independent assessments, anywhere from 200 up to 1,000 civilians fell victim to the US air campaigns. The leaks also call into question claims about UK complicity in deadly drones strikes carried out using the intelligence base. In the past Britain claims to have full knowledge and have given full consent for what goes on at Menwith Hill, despite claims by campaigners that clandestine US operations may constitute war crimes. The latest revelations have been criticized by human rights groups, including Reprieve. “It is now imperative that the prime minister comes clean about UK involvement in targeted killing to ensure that British personnel and resources are not implicated in illegal and immoral activities,” Craig said. 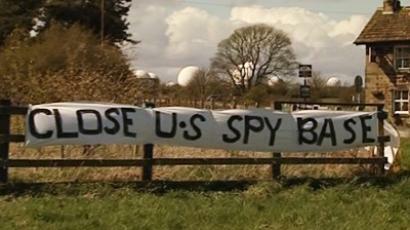 While the Ministry of Defence (MoD) refused to comment on the release, an approach by the Intercept to the NSA was referred to Director of National Intelligence (DNI). 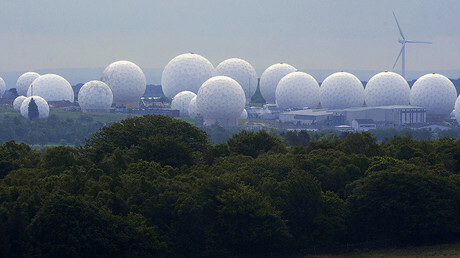 In April 2012, the covert Menwith Hill intelligence center was propelled into the public spotlight after local residents joined by the members of the Occupy movement. Together, they staged mass protests outside the base. "The UK’s providing a facility here that’s involved in drone attacks that we know, from independent assessments, are killing and injuring thousands of civilians, and because of the covert nature of that warfare, it’s very difficult to provide information and accountability through the UK parliament. And yet these are acts of war,” Dr Steve Schofield, author of the 65-page report "Lifting the Lid on Menwith", told RT back then. Matteo Bergamini, founder, director of Shout Out UK platform, believes the UK government should give an explicit account to the public on what is actually going on in the clandestine facility. “Ideally, I would like the authorities to come clean, to say what has happened and essentially put it to the public and actually start to act like a democracy,” he told RT, adding that those people who will be found responsible of violating the international law as result of such revelations, should be prosecuted in the UK. However, the chances of this taking place are low, judging by past experience. “I think the reaction of the authorities will be trying to hide it, or trying to scapegoat it on somebody else like they had with the whistleblowers in the past,” Bergamini said.